Intelligent software solutions cannot be touched. But they can be spoken about. Come and talk to us at technical symposiums, trade fairs, and other events. Find out about the latest developments in the distance selling sector. We look forward to meeting you personally. You always want to be up to date? Subscribe to our newsletter now! 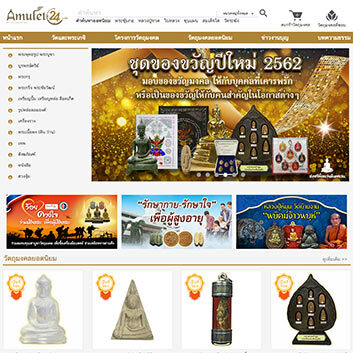 Amulet24 belongs to CP ALL, one of the largest Thai companies. As part of CP ALL's online strategy, OSP has already redesigned several shops and developed a native app in recent years. Now followed the relaunch of Amulet24.com, a webshop for religious symbols and amulets. The TechStack consists of the webshop platform novomind iSHOP, the product data management system novomind iPIM and the order management system MOVEX Order. Under the slogan "Technology Never Sleeps", the retail industry will meet again in 2019 at EuroCIS, the world's leading trade fair for retail technology. As experts for IT solutions in retail, we will also be there. Experience how OSP is redefining networking in Omnichannel retail. 3PAGEN, an internationally operating mail order company for home textiles, household articles and wellness gets a fresh start with OSP (Otto Group Solution Provider) products. Restructuring its order and warehouse management 3PAGEN has decided for two products of the omnichannel software MOVEX by OSP. MOVEX | Mobile adds mobile IT solutions to the MOVEX software product family. Alongside the development of customized apps and other IT services, MOVEX | Mobile primarily comprises the POS Bundle and the Shop Bundle. The POS Bundle for mobile instore shopping provides bricks-and-mortar retailers with modern customer loyalty tools: digital loyalty cards, digital receipts, mobile couponing and mobile payment. The app links bricks-and-mortar retail with the online shop, thus creating a seamless shopping experience. The Shop Bundle is aimed at meeting the needs of retailers in the area of mobile shopping. It provides various entry-level models and can also be extended by adding additional components. The Shop Integration App is a user-friendly extension to the online shop and provides functions ranging from webshop call-up via app through to native login/logout, push notifications and a native store finder. To enable fast, uncomplicated entry into international omnichannel retailing, MOVEX | Order and MOVEX | Logistics will in future also be available as an SaaS solution. OSP will provide the software products as of the start of 2017 in a way that suits your business challenges. 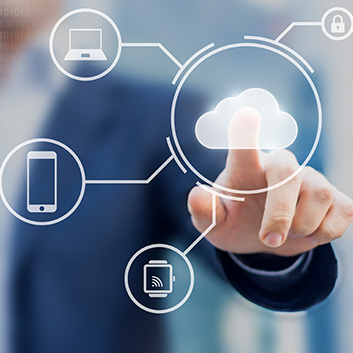 OSP guarantees high system availability and the security of your data.